U.S. Senator Ben Sasse (R-Neb.) will discuss human dignity, humility, empathy and respect when he presents the fall 2018 Manatt-Phelps Lecture in Political Science at Iowa State University on Oct. 25. Sasse, who was elected to the United States Senate in 2014, will present “If Not Us, Who: Human Dignity in the 21st Century” at 8:15 p.m. on Thursday, Oct. 25, in the Great Hall of the Memorial Union. The presentation is free and open to the public. Each year, the Manatt-Phelps Lecture in Political Science brings a prominent practitioner or scholar to address the Iowa State and Central Iowa community on issues of significance to the United States and to Iowa in international political economy. 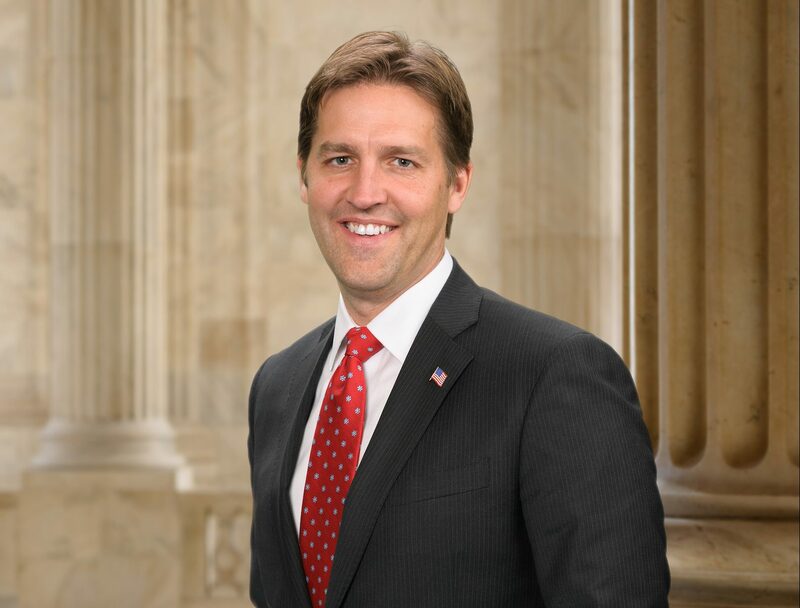 Sasse is the third Senator to present at the prestigious lecture series, following then-U.S. Senator Chuck Hagel (R-Neb.) in 2005 and then-U.S. Senator Joseph Biden (D-Del.) in 2006. Sasse serves on the Senate Committee on the Judiciary, the Senate Committee on Armed Services, the Senate Committee on Banking, Housing and Urban Affairs and the Senate Joint Economic Committee. The lecture series was established in 2002 by the late Ambassador Charles T. Manatt and Kathleen Manatt and Tom and Elizabeth Phelps. Michele Manatt, daughter of Charles and Kathleen Manatt, noted the important timing of this year’s lecture. A fifth-generation Nebraskan, Sasse is serving his first term in the Senate. Sasse was elected to the Senate on a platform of restoring the Constitution to its rightful place and encouraging a more constructive and transparent politics. Sasse has a Ph.D. in American history from Yale University. Prior to joining the Senate, Sasse served for five years as president of Midland University in his hometown of Fremont, Nebraska. Previous Manatt-Phelps lectures have featured ambassadors from crucial American allies and friends – France, Germany, India, Spain and Sweden – as well as distinguished leaders from America’s largest trading partners, such as Mexico’s secretary of foreign affairs and Canada’s former minister of foreign affairs. Recent lectures have been presented by Washington Postcolumnist and Brookings Institution senior fellow E.J. Dionne; counterterrorism expert and author Malcolm Nance, and MSNBC anchor and business correspondent Ali Velshi. In addition to the Manatt and Phelps families, the fall 2018 Manatt-Phelps Lecture in Political Science is co-sponsored by the College of Liberal Arts and Sciences; Department of Political Science; and the Committee on Lectures, which is funded by the Student Government.